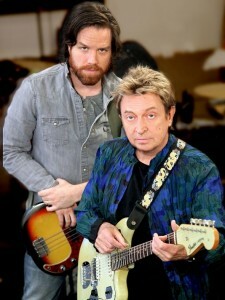 Police guitarist Andy Summers lifts off with new band, Circa Zero. The video for single “Levitation” premieres exclusively at USA TODAY. When Rob Giles started Circa Zero with Andy Summers, he had a goal for the band he expects most fans of Summers’ work with The Police would have shared. From the first few bars of single Levitation, the video for which is premiering at USA TODAY, it’s apparent Giles got what he wanted.